Su inspiración nace del film’s bikini-clad girl gang, Brit (Ashley Benson), Candy (Vanessa Hudgens), Cotty (Rachel Korine), y Faith (Selena Gomez), también local thug/rapper Alien (James Franco). Sandro Lafounte espera que te guste. 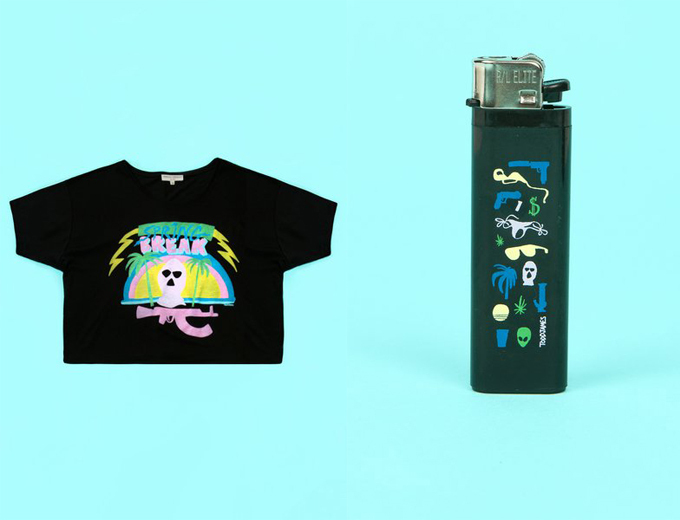 Shop and see the whole Opening Ceremony x Spring Breakers collection HERE.